Harlyn is the perfect playground for pushing personal boundaries or building team dynamics. We have the perfect adventure option for you with your own private, exclusive coaches. 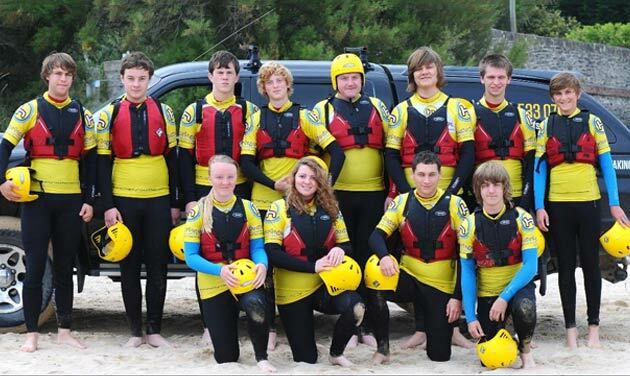 We have all you need if you’rte looking for a group beach activity in Cornwall. Whether you’re a group of friends, family, stag and hens, corporate colleagues, schools, scouts or military we can design the perfect group activity for you! Choose your group type and view all of our amazing group activities on offer! Beginners, Improvers, Intermediates – something for everyone – 2hrs of pure fun! Why not combine a surfing lesson with another one of our activities on offer to make your experience a day to remember. Don’t forget our summer surf camp for 8-14yr olds, our most popular course! Stunning beaches, classy restaurants and nightlife – Harlyn and the surrounding area has it all. Here at Harlyn surf school our team of instructors have years of experience working with stag and hen groups. We have something on offer for everyone form adrenaline fuelled coasteering sessions, serene kayak tours, traditional surfing lessons and our ever popular group paddleboarding sessions. Why not try our Monster SUP coasteering sessions for that something different? Year after year we have schools visiting us both returning and new ones and here at Harlyn we have the perfect location for your school to try our activities on one of the safest beaches in Cornwall. Everything is provided by us kit wise and we have the amazing Treyarnon Youth hostel close by which provides a fully catered option. We advise booking at least 6 months in advance to reserve your accommodation and the earlier in the school academic year the better. We have been working with university and college groups for over 20 years many of whom return annually. Bespoke packages are on offer with a combination of activities available, surfing, coasteering, kayaking , Monster SUP – discounts on our merchandise. Be sure to book your accommodation as early as possible in the academic year to guarantee availability. Monster SUP is a 17ft giant SUP board!!! We will take you through the basics of knee paddling, learning to turning this giant beast and then managing to stand and tame it! Monster SUP can be used for scenic river paddles, coastal tours or for a fun fuelled surf session. This is great activity to do as a family or for groups. We can take individual bookings but a min number of 4 people is required for the session to run. For larger groups we have a fleet of monster SUPs available, this is a great alternative family or group sessions! What a great opportunity to have a fantastic birthday party on the beach at Harlyn! Let us help you design a birthday bash that will be loads of fun, exciting and a day to remember. Want to create your own private SUP session then get in touch. We can design a session just for you and your group. Stags, hens, families, friends, schools – let us make your SUP experience one to remember! Don’t forget our amazing 17ft Monster SUP is available. Having grown up in the local area surfing and exploring for several years we truly do know how to provide you with a special experience whether that is paddleboarding and kayaking to special places off the beaten track, a private coasteering adventure for you and your friends or family, or a private surfing experience with our senior instructors. We can design a private bespoke watersport experience exclusively for you. If you are involved in organising events for your business, you’ll need to find venues which work with you to give great service, a good choice of activities and team building skills combined with a great location with some fantastic places to stay. We work with some of the best accommodation and activity providers in the area and can provide a fully tailored package to meet your requirements. Monster SUP racing, Monster SUP coasteering, Surf Bondi Rescue experiences and coastal exploration. Drop us an email with your objectives and we can get to work designing a corporate event for you.